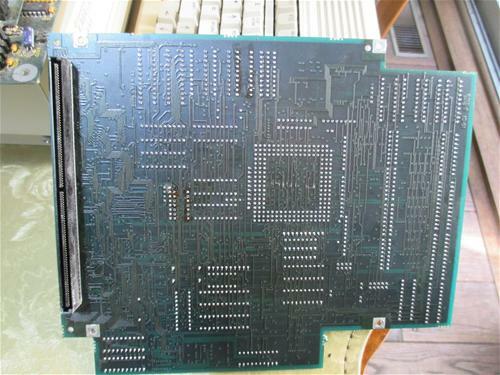 "This is one of the original Commodore/Amiga MC68040 CPU modules for the Amiga 3000. This one is not widely known, but it predated the A3640 by some years. 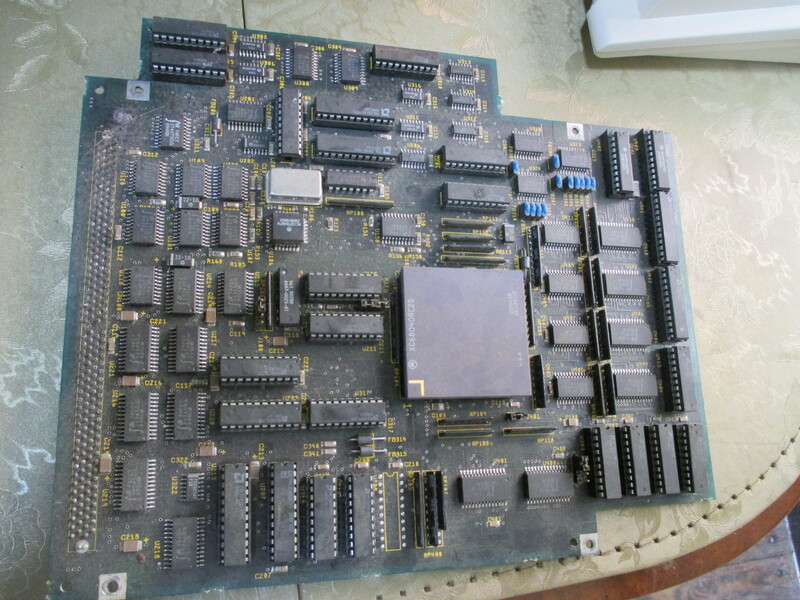 Basically, during the Amiga 3000 project, we wanted to get the MC68040 card started quickly, so we hired Scott Schaeffer to build this card. 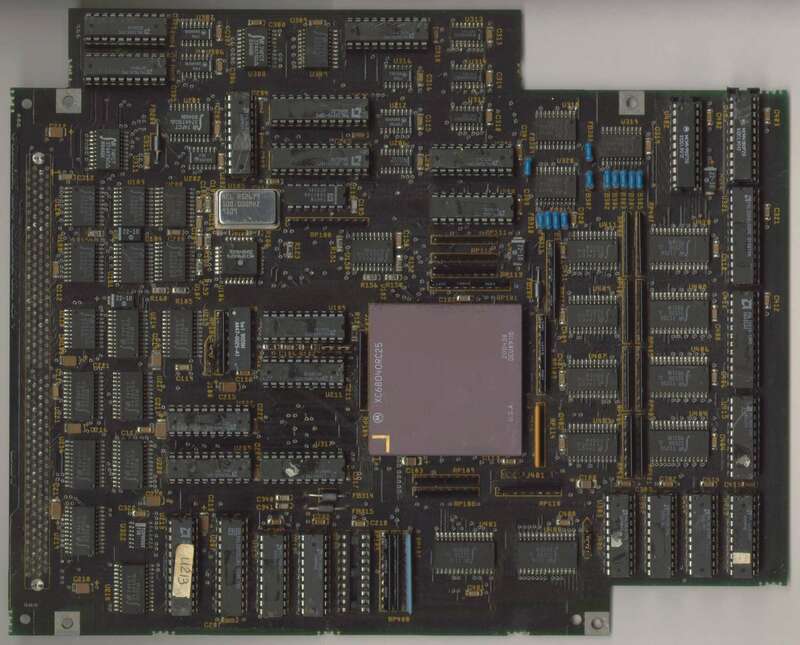 This is a more complex and expensive design than the A3640, but it also has (in theory) 128K of L2 cache on-board. I do say "in theory" because, when I was given this board, they told me that cache didn't work on it. Far as I know, it hasn't fixed itself over the years. I do know that it used to work as a normal '040 card, it may still, but it's sold as-is. When it did work, it ran in an A3000, where you would substitute the socketed clock buffer (a 74F08 or some-such) with straight-through wires. I haven't found any documentation on this one yet. So, back to the fate of this design. It was working at the Amiga 3000 launch, at the Palladium in New York City, April 22, 1990. Motorola flew in a "special" blessed MC68040 for use to demo, which would have been the first public demo of a MC68040 product, other than perhaps some Motorola dog and pony shows. Anyway, at the last minute, Commodore management got cold feet and yanked the showing. 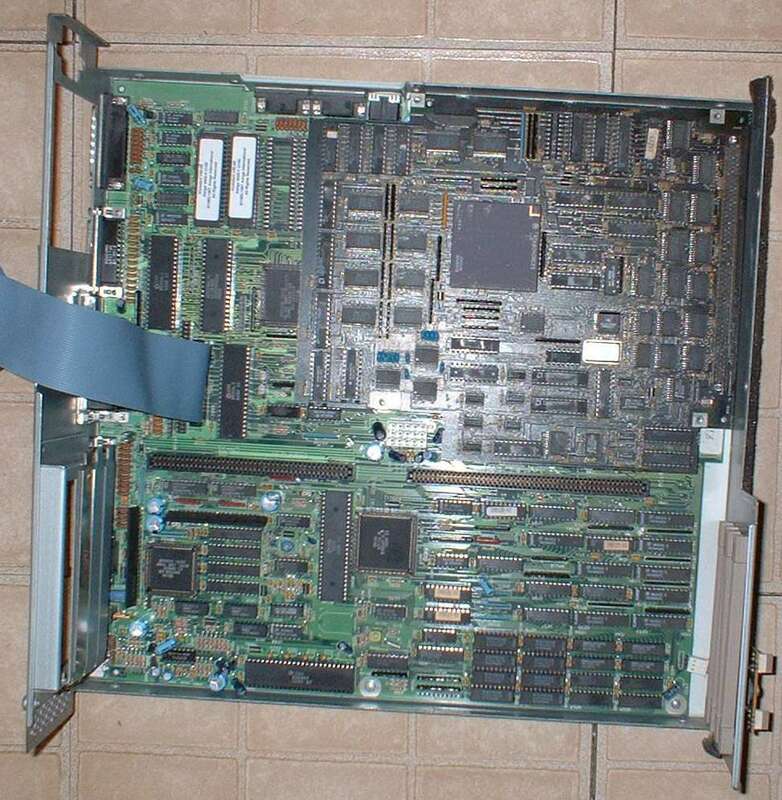 According to Jeff Hellige who purchased the card from Dave Haynie, the card does not appear to work as his A3000 will not boot with it installed. However the card appears to be missing a PAL at location U208. 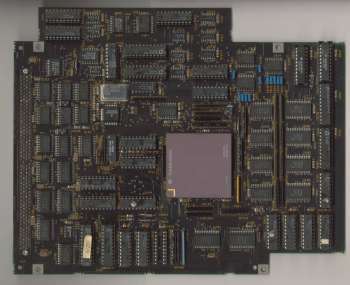 The card contains a 100Mhz crystal and printed along the edge of the card near the fast slot connector is "Commodore 68040 Accelerator Card Rev 4". The card has had some manual changes including 3 resistors soldered to the bottom of the card between the legs of various PALs. 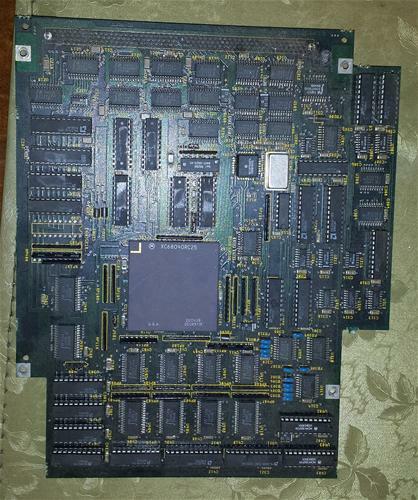 Randell Jesup: "this is an initial full-size A3000 '040 card (we had this running and ready to show at the A3000 launch, before anyone else had shown a working '040 - including Apple and Workstation vendors). Marketing/etc chickened out of showing it because they were worried (I presume) it would steal thunder from the A3000 launch, and maybe because they worried people would wait for the real '040 cards." Page contributors: Dave Haynie, Jan Pedersen, Jeff Hellige, Randell Jesup, Steen Jessen.